Welcome to YUFC | Yankee United F.C. 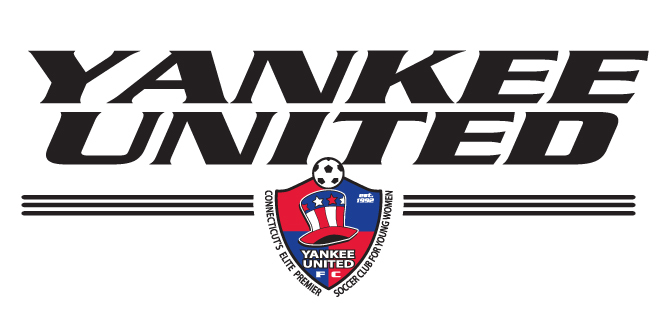 Welcome to the Yankee United Futbol Club of Connecticut website. Our Alumni include 3 current NWSL Players (National Women's Soccer League) as well as members of the USWNT. Our premier program is specifically structured to offer players the most competitive training regimen while supporting them in their development as they strive to reach their full potential as soccer players. Yankee United F.C. prides itself in offering our players guidance and direct assistance through the college process. We are fortunate to have coaches who combine years of training as guidance counselors and teachers with the longevity of playing and coaching at the collegiate level, and whose familiarity and expertise is unmatched in this area. Yankee United FC offers a unique training opportunity by practicing and playing at one site, Saint Joseph High School in Trumbull, CT. This complex, consisting of 3 grass fields and one turf stadium field allows for all weather training, minimum game postponements, multiple age groups training at the same time and place, as well as set practice and game times throughout the season. We invite you to continue to examine our Yankee United F.C. web site to get a complete picture of what we are about and why we offer a truly unique opportunity for our players.